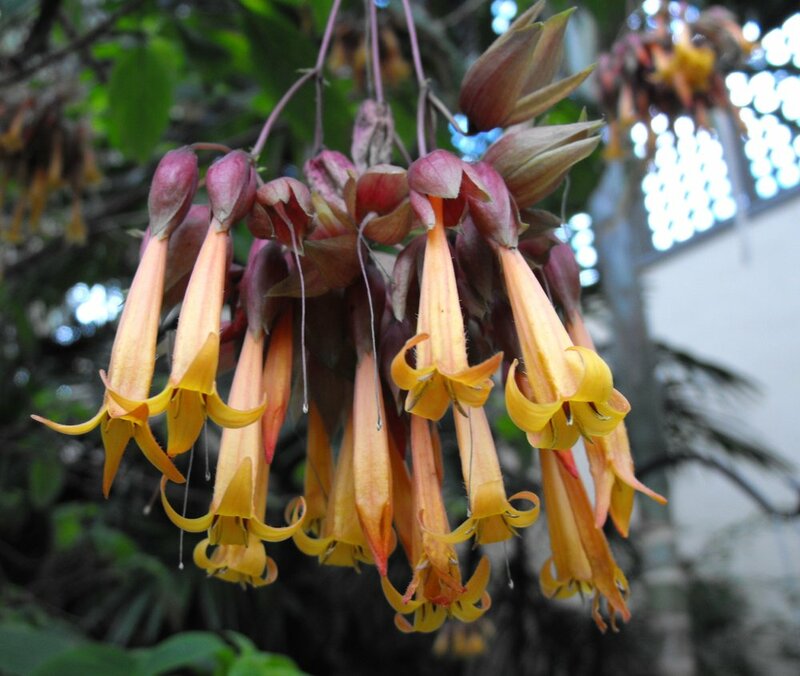 The golden Fuchsia (Deppea splendens) is a real show stopper. It is impossible to miss this plant when it is in full bloom. Amazingly, if it were not for the actions of one person, this small tree may have disappeared without anyone ever knowing it existed in the first place. 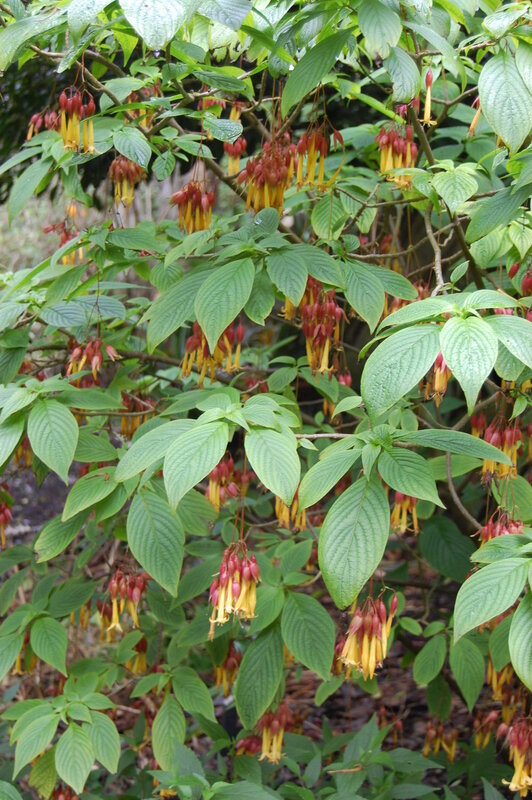 The golden Fuchsia is yet another plant that currently exists only in cultivation. The story of the golden Fuchsia starts in the early 1970’s. During a trek through the mountains of southern Mexico, Dr. Dennis Breedlove, then the curator of botany for the California Academy of Sciences, stumbled across a peculiar looking shrub growing in a steep canyon. It stood out against the backdrop of Mexican oaks, pines, and magnolias. Standing at about 15 to 20 feet tall and adorned with brightly colored, pendulous inflorescences, it was clear that this species was something special indeed. A subsequent expedition to Chiapas in the early 1980’s was aimed at collecting seeds of this wonderful plant. It turned out to be relatively easy to germinate and grow, provided it didn’t experience any hard frost events. Plants were distributed among botanical gardens and nurseries and it appeared that the golden Fuchsia was quickly becoming something of a horticultural treasure. Despite all of the attention it was paid, the golden Fuchsia was only properly described in 1987. Sadly, around the same time that botanists got around to formally naming the plant, tragedy struck. During yet another trip to Chiapas, Dr. Breedlove discovered that the cloud forest that once supported the only known population of golden Fuchsia had been clear cut for farming. Nothing remained but pasture grasses. No other wild populations of the golden Fuchsia have ever been found. If it was not for those original seed collections, this plant would have gone completely extinct. It owes its very existence to the botanical gardens and horticulturists that have propagated it over the last 30+ years. All of the plants you will encounter today are descendants of that original collection. The role of ex situ living collections play in the conservation of species is invaluable. The golden Fuchsia is yet another stark reminder of this. If it were not for people like Dr. Breedlove and all of the others who have dedicated time and space to growing the golden Fuchsia, this species would have only been known as a curious herbarium specimen. The most alarming part about all of this is that as some botanical gardens continue to devalue living collections in favor of cheap landscaping and event hosting, living collections are getting pushed to the side, neglected, or even worse, destroyed. We must remember that living collections are a major piece of the conservation puzzle and their importance only grows as we lose more and more wild spaces to human expansion.